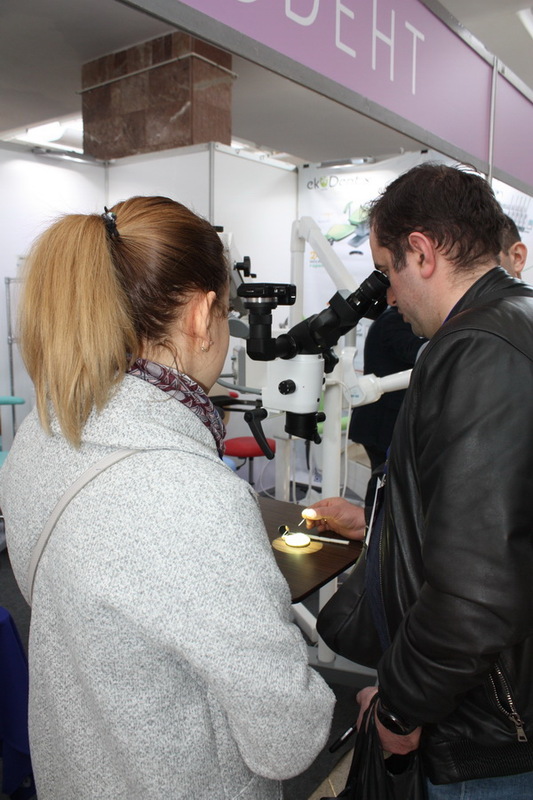 • International Dental exhibition «Dental-Expo» - is one of the exhibitions of the stomatological direction, which is held by CJSC «Gal-EXPO». 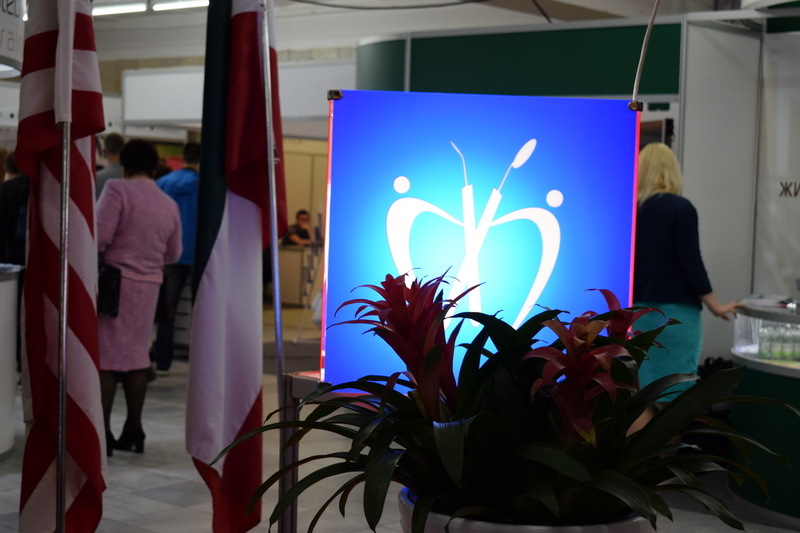 • The exhibition provides an opportunity to familiarize specialists with trends in the development of the dental industry. 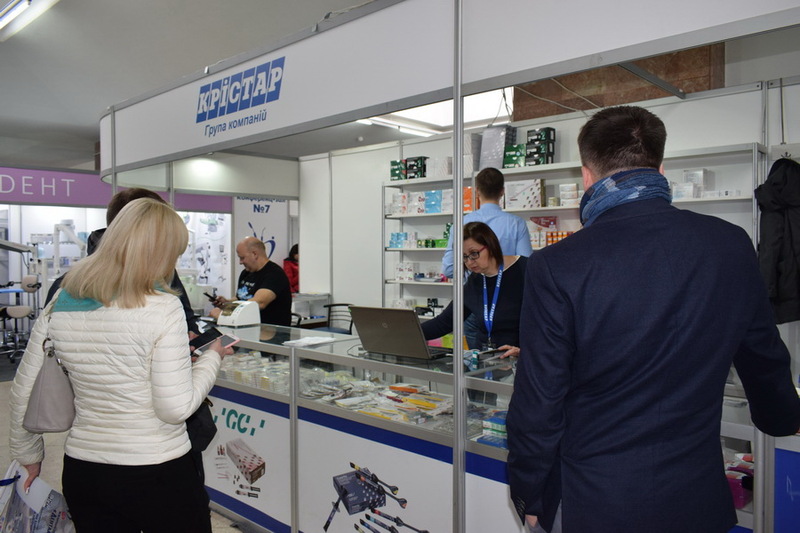 You can take part in scientific events and acquire modern equipment, materials and tools. 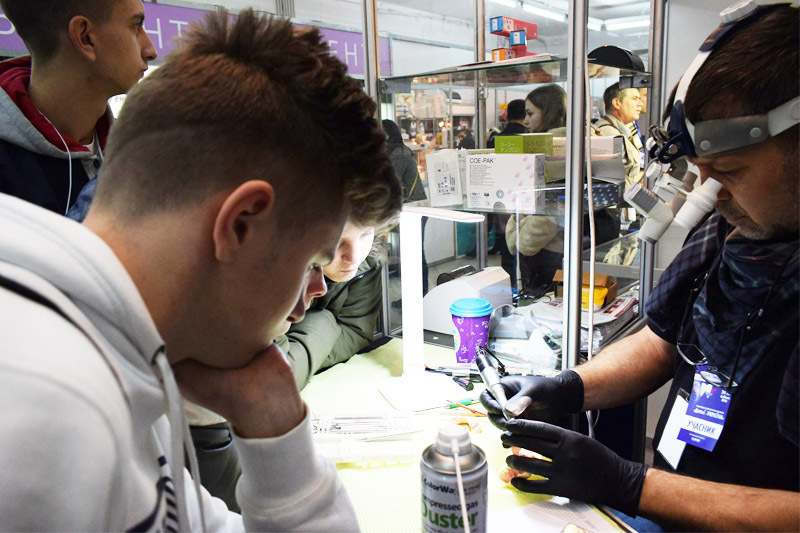 • Within the framework of the exhibition, a project will be held for the second time «Dream Clinic» + «Dream Dental Laboratory». 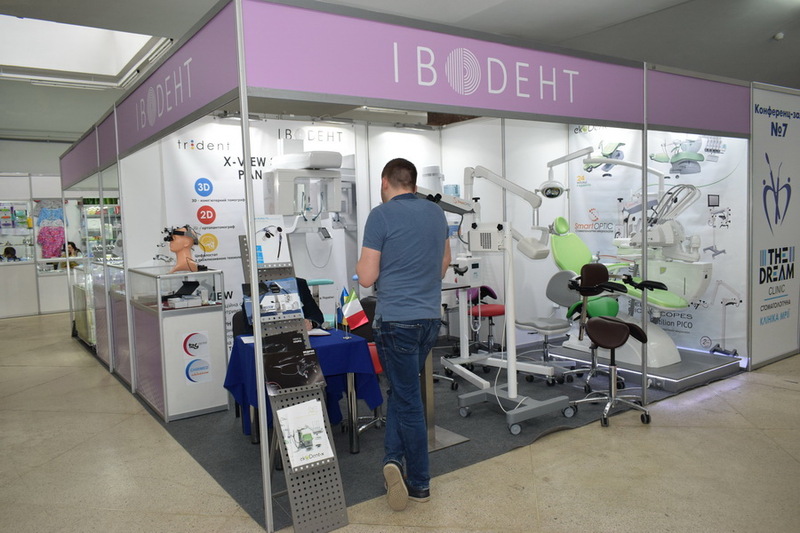 Report of the stomatological exhibition "Dental-EXPO" 2018 (ukr). 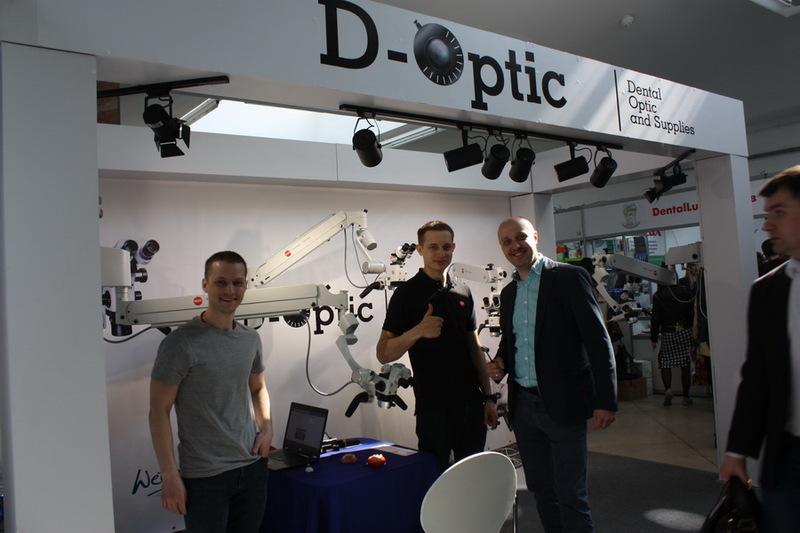 Looking forward to see you at Dental exhibition "Dental-Expo"! 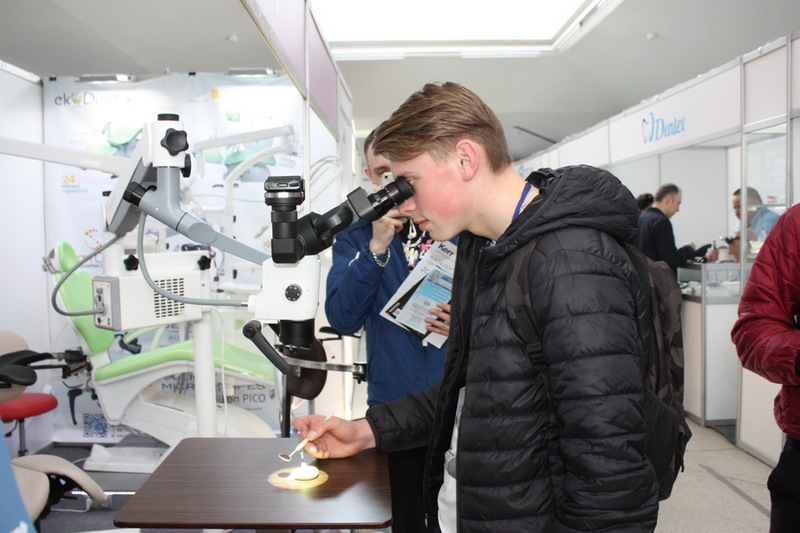 9 April 2019 - International Scientific and Practical Conference «Planning as a comprehensive approach to treatment in orthopedic dentistry». 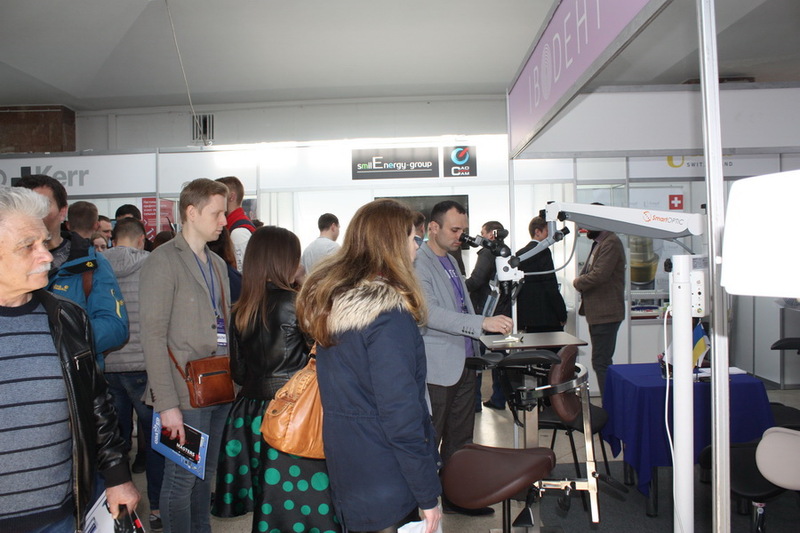 «Dental Prosthetic Conference». 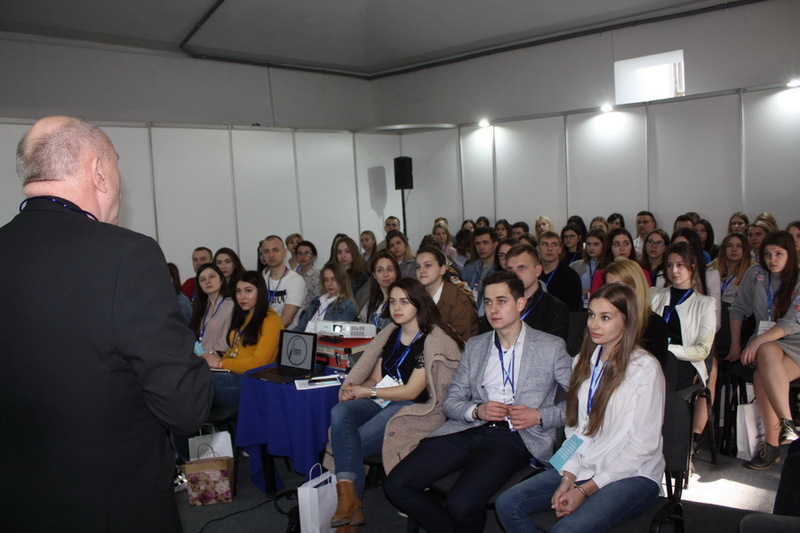 9 April 2019 - Scientific and Practical Conference «Resto-education. 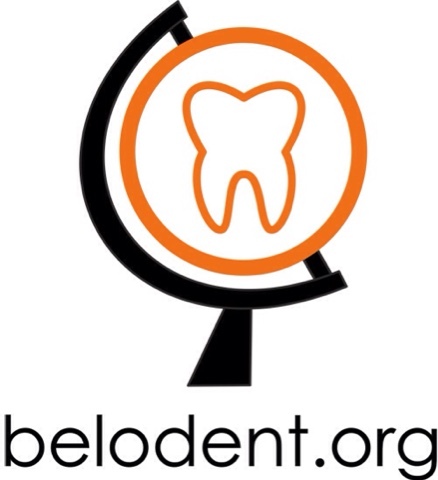 Restoration of teeth - from elementary to the most complicated». 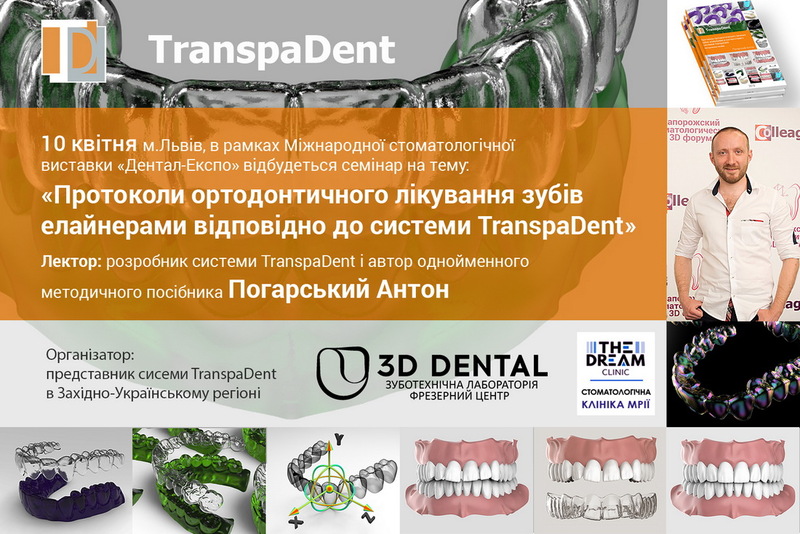 9 April 2019 (10:00-14:00) - Presentation «TranspaDent- 3D Tooth Equalizer System». 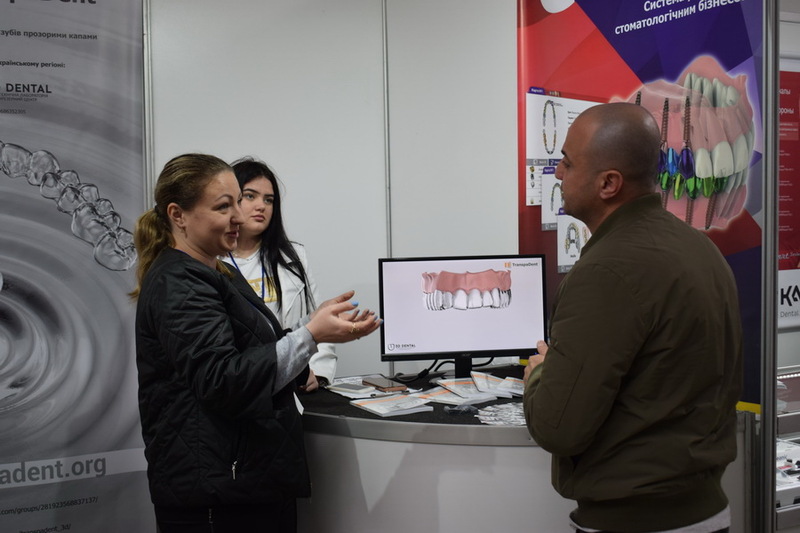 10 April 2019 - Seminar «Dental practice: new in legislation, documentation, inspections, workshop». 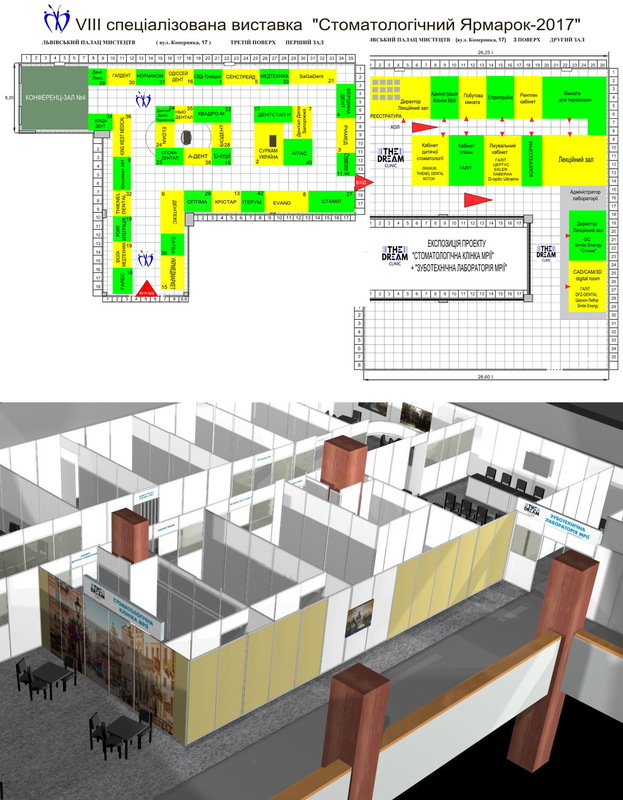 - workshop: Registration of documents for obtaining a license and submitting changes. 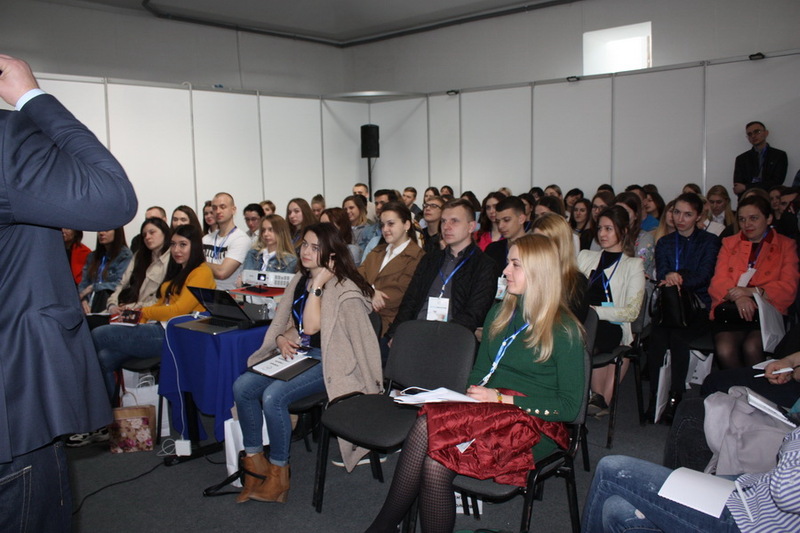 Lecturer: Teresa Nikolaevna Tailor, Lawyer of the National Union of Dentists of Ukraine and the Center for Dental Implantation and Prosthetics "MM"
10 April 2019р. 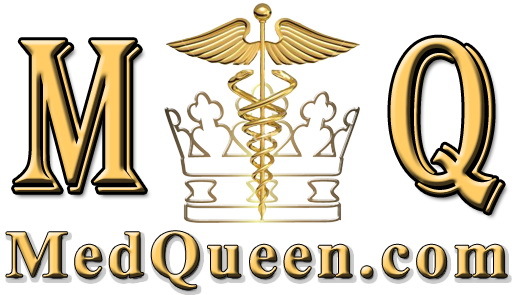 (10:00-18:00) - Training «Negotiating with the Patient». 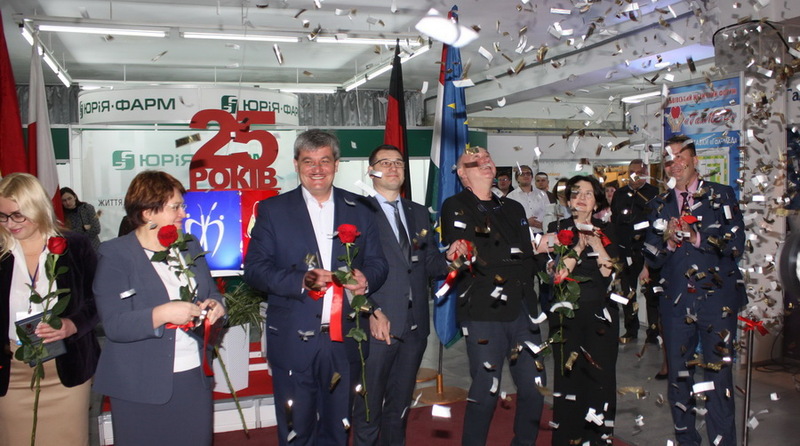 10 April 2019р. 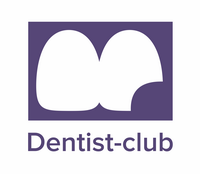 - Master class «Direct restoration of the frontal group of teeth using a silicone pattern. 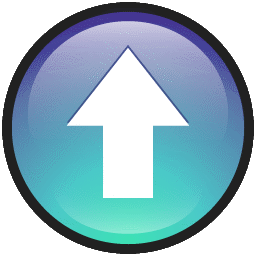 Stratification method». 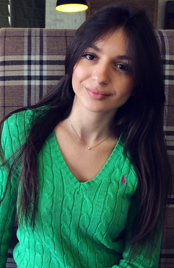 10 April 2019р. 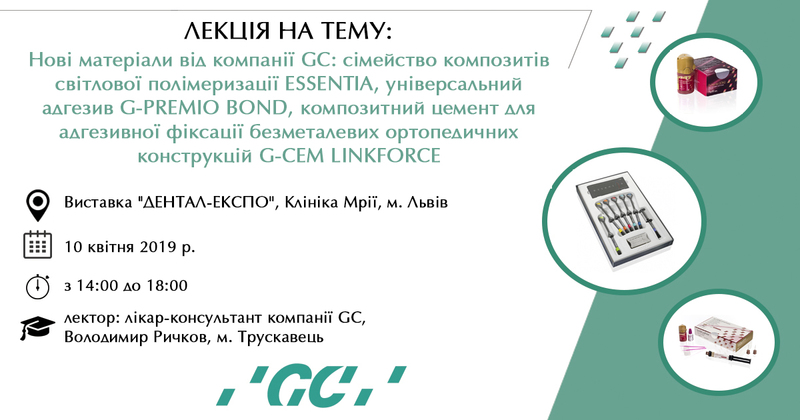 (14:00-19:00) - Seminar «New materials from GC company: ESSENTIA light polymerization composite series, G-PREMIO BOND universal adhesive, composite cement for adhesive fixation of non-metal orthopedic structures G-CEM LINKFORCE». 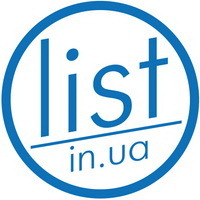 10 April 2019р. 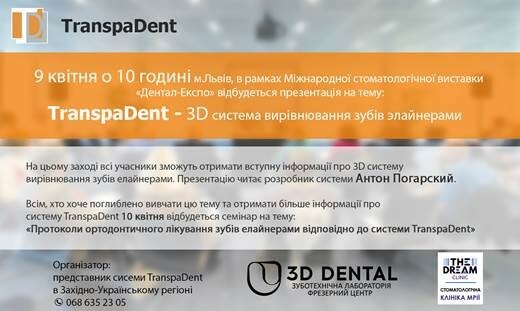 - Seminar «Protocols of orthodontic dentistry aligners according to the TranspaDent system». 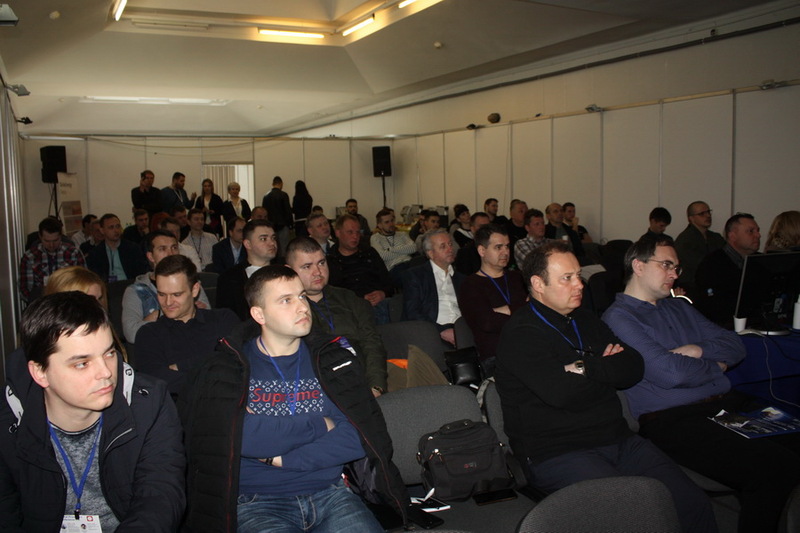 Lecturer: the developer of the TranspaDent system and the author of the methodical manual of the same name, Pogarsky Anton. 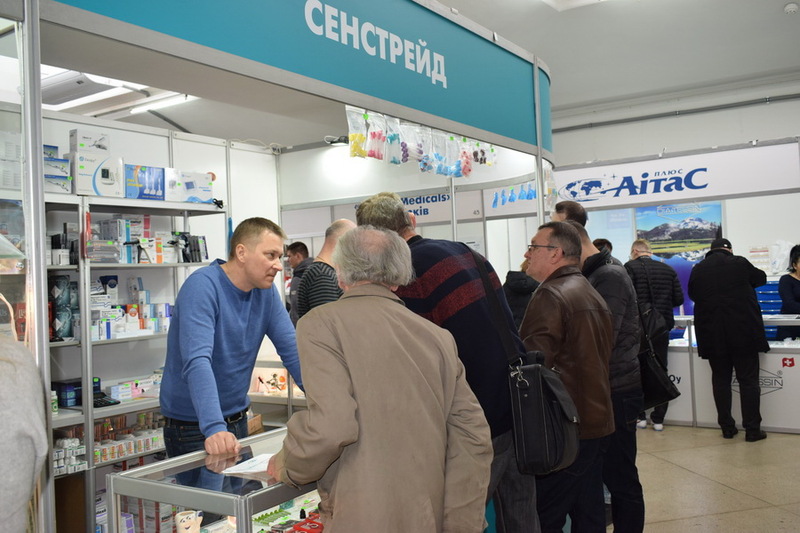 Exhibitions : "GalMED", "Dental -Expo", "Dental®-Ukraine"